The Mater Dei Chapel will be closed from December 24, 2018 through January 1, 2019 and will reopen on Wednesday, January 2, 2019 at 8:30 a.m. Also, Holy Hour for Vocations with Benediction of the Blessed Sacrament, which is held in the chapel every last Thursday of the month at 6:00 p.m., will not be held on Thursday, December 27, 2018. Holy Hour for Vocations will resume on Thursday, January 31 at 6:00 p.m. in the chapel. St. Elizabeth Ann Seton Church invites you to join us for Adoration of the Blessed Sacrament in the Mater Dei Chapel. The Chapel is located next to the church and is open Monday through Friday from 8:30am-7:00pm and Saturday from 8:30am-3:00pm. Visitors are welcome. To reserve a specific time, please contact Judy Galizia at 702-480-0564. We pray a holy hour for vocations with Benediction of the Blessed Sacrament at 6:00 p.m. on the last Thursday of every month. Please join us! 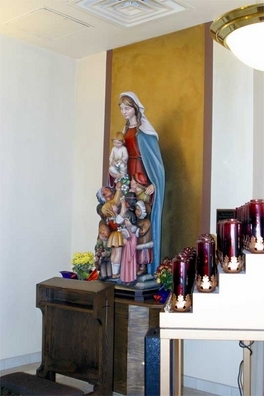 Located left of the main entrance to the church, the Mater Dei Adoration Chapel is available for private prayer before the Lord Jesus, present in the Blessed Sacrament and exposed on the altar of the chapel. 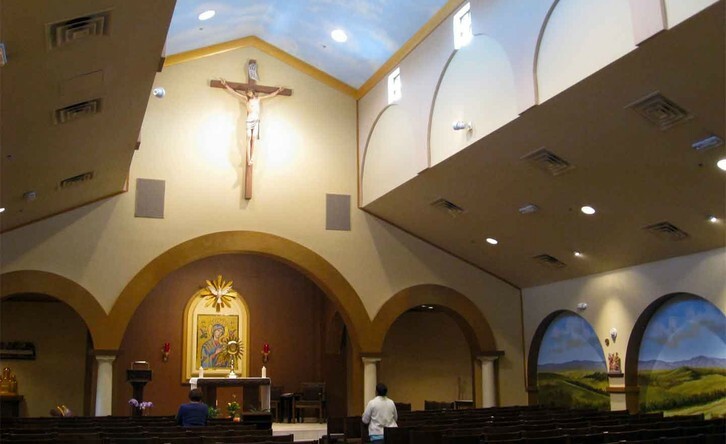 The chapel has been a great source of blessings for SEAS Parish and the surrounding Las Vegas Valley. All are welcome to come and spend time with Jesus. Both parishioners and non-parishioners are invited to volunteer as regular adorers. If you are willing to commit to an hour of adoration each week, please contact the adoration coordinator Judy Galizia at 702-480-0564.